After Europeans in the First Crusade captured Jerusalem in 1099, many Christians made pilgrimages to various sacred sites in the Holy Land. 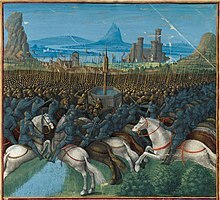 Although the city of Jerusalem was relatively secure under Christian control, the rest of Outremer was not. 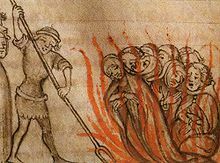 Bandits and marauding highwaymen preyed upon these Christian pilgrims, who were routinely slaughtered, sometimes by the hundreds, as they attempted to make the journey from the coastline at Jaffa through to the interior of the Holy Land. At dawn on Friday, 13 October 1307 (a date sometimes linked with the origin of the Friday the 13th superstition) King Philip IV ordered de Molay and scores of other French Templars to be simultaneously arrested. The arrest warrant started with the phrase: "Dieu n'est pas content, nous avons des ennemis de la foi dans le Royaume" ["God is not pleased. We have enemies of the faith in the kingdom"]. Claims were made that during Templar admissions ceremonies, recruits were forced to spit on the Cross, deny Christ, and engage in indecent kissing; brethren were also accused of worshipping idols, and the order was said to have encouraged homosexual practices. The Templars were charged with numerous other offences such as financial corruption, fraud, and secrecy. 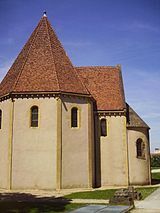 Many of the accused confessed to these charges under torture (even though the Templars denied being tortured in their written confessions), and their confessions, even though obtained under duress, caused a scandal in Paris. The prisoners were coerced to confess that they had spat on the Cross: "Moi, Raymond de La Fère, 21 ans, reconnais que [j'ai] craché trois fois sur la Croix, mais de bouche et pas de cœur" ("I, Raymond de La Fère, 21 years old, admit that I have spat three times on the Cross, but only from my mouth and not from my heart"). The Templars were accused of idolatry and were suspected of worshiping either a figure known as Baphomet or a mummified severed head they recovered, amongst other artifacts, at their original headquarters on the Temple Mount that many scholars theorize might have been that of John the Baptist, among other things. The Knights Templar were dismantled in the Rolls of the Catholic Church in 1309 with the death of Jacques de Molay; with the suppression of the Order, a number of Knights Templar joined the newly established Order of Christ, which effectively reabsorbed the Knights Templar and its properties in AD 1319, especially in Portugal. The story of the persecution and sudden dissolution of the secretive yet powerful medieval Templars has drawn many other groups to use alleged connections with them as a way of enhancing their own image and mystery. Apart from the Order of Christ, there is no clear historical connection between the Knights Templar and any other modern organization, the earliest of which emerged publicly in the 18th century. Following the dissolution of the Knights Templar, the Order of Christ was erected in 1319 and absorbed many of the Knights Templar into its ranks, along with Knights Templar properties in Portugal. Its headquarters became a castle in Tomar, a former Knights Templar castle. ^ Selwood, Dominic (20 April 2013). "Birth of the Order". Retrieved 20 April 2013. ^ Selwood, Dominic (28 May 2013). "The Knights Templar 4: St Bernard of Clairvaux". Retrieved 29 May 2013. Herbermann, Charles, ed. (1913). "Order of the Knights of Christ" . Catholic Encyclopedia. New York: Robert Appleton Company. ^ International, American. 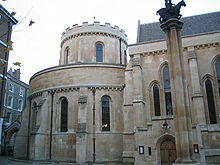 "The Knights Templar and Knights Hospitaller". www.medievalwarfare.info. Retrieved 11 December 2017. ^ Selwood, Dominic (20 March 2013). "The Knights Templar 1: The Knights". Retrieved 12 April 2013. ^ Selwood, Dominic (7 April 2013). "The Knights Templars 2: Sergeants, Women, Chaplains, Affiliates". Retrieved 12 April 2013. ^ Ruggeri, Amanda. "The hidden world of the Knights Templar". Retrieved 11 December 2017. ^ a b c d Ralls, Karen (2007). Knights Templar Encyclopedia: The Essential Guide to the People, Places, Events, and Symbols of the Order of the Temple. Red Wheel Weiser Conari. p. 53. ISBN 9781564149268. Founded in Portugal and approved by papal bull in 1319, after the suppression of their Order in 1312, a number of Templars joined the newly established Order of Christ. The knights of this Order became known as the Knights of Christ. The wore a white mantle with a red cross that had a white twist in the middle, which also has been translated as a double cross of red and silver in some medieval documents. 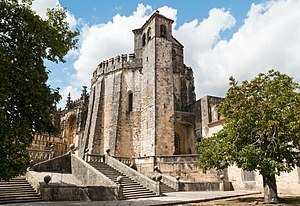 Initially, the Order of Christ was located at Castro Marim; later, its headquarters was relocated to Tomar, the location of the castle of the Knights Templar. ^ a b c Gourdin, Theodore S. (1855). Historical Sketch of the Order of Knights Templar. Walker & Evans. p. 22. 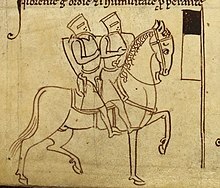 Upon the suppression of the Order of Templars in Portugal, their estates were given to this equestrian militia. The name of the Order was changed to that of the Order of Christ. The Templars in Portugal suffered comparatively little persecution, and the Order of Christ, since its foundation in 1317, has always been protected by the sovereigns of that country, and also by the Popes of Rome. ^ Finlo Rohrer (19 October 2007). "What are the Knights Templar up to now?". BBC News Magazine. Retrieved 13 April 2008. ^ "Freemasonry Today periodical (Issue January 2002)". Grand Lodge Publications Ltd. Archived from the original on 3 March 2011. Retrieved 28 May 2011. Barber, Malcolm (1992). "Supplying the Crusader States: The Role of the Templars". In Benjamin Z. Kedar (ed.). The Horns of Hattin. Jerusalem and London. pp. 314–26. Barrett, Jim (1996). "Science and the Shroud: Microbiology meets archaeology in a renewed quest for answers". The Mission (Spring). Retrieved 25 December 2008. 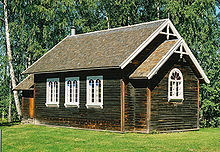 Hietala, Heikki (1996). "The Knights Templar: Serving God with the Sword". Renaissance Magazine. Archived from the original on 2 October 2008. Retrieved 26 December 2008. Moeller, Charles (1912). "Knights Templars" . In Herbermann, Charles (ed.). Catholic Encyclopedia. 14. New York: Robert Appleton Company. Brighton, Simon (15 June 2006). In Search of the Knights Templar: A Guide to the Sites in Britain. London, England: Orion Publishing Group. ISBN 978-0-297-84433-4.